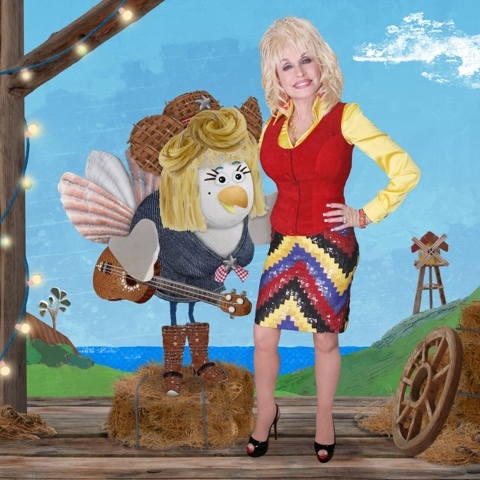 NASHVILLE, Tenn. (May 26, 2016) – Global music legend Dolly Parton is lending her distinctive voice to play a singing chicken called Noleen for a special episode in the new series of Sixteen South’s award-winning pre-school animationLily’s Driftwood Bay. Starting on Nick Jr. in the UK on 6th June and Sprout, NBCUniversal Cable Entertainment’s 24-hour preschool network, in the US on 27th June, the new series will also feature the smooth Welsh tones of actor and comedian Rob Brydon (Gavin and Stacey, The Rob Brydon Show) as a seafaring, and rather handsome, silver fox. Lily’s Driftwood Bay is about a little girl who creates an imaginary world from treasures she finds washed up on the beach. Lily’s world is filled with a cast of adorable beachside characters, voiced by an array of talent including Stephen Fry (QI, The Hobbit), Peter Mullan (Harry Potter, Top of the Lake), Tameka Empson (EastEnders, 3 Non-Blondes), Jane Horrocks (Sunshine on Leith, Absolutely Fabulous), Ardal O’Hanlon (Father Ted, London Irish), Annette Crosbie (One Foot in the Grave, Hope Springs) and Richard Dormer (Game of Thrones, Fortitude) alongside Orlagh O’Keeke as Lily. In Dolly Parton’s special double length episode, ‘The Salty Chicken’, which will air next year - Dolly voices Noleen, a famous singing chicken whose luxury yacht gets beached on Driftwood Bay during a storm, much to the surprise of her greatest – and rather star struck fan, Lord Stag (Stephen Fry). An impromptu concert sees old sea dog Salty (Peter Mullan) duet with Noleen, who’s astonished by his talent and tries to persuade him to come on tour with her. Will she persuade Salty to give up the sights and sounds of Driftwood Bay for an international singing career…? A beautifully crafted series about making fun and adventure from things that you find, Lily’s Driftwood Bay is produced by Sixteen South (Claude, Pajanimals, Big and Small) featuring characters and environments completely created from objects found washed up on the beach. The series is supported by some production funding from Northern Ireland Screen.